In order to use The Service Program timekeeping you must first setup timekeeping in QuickBooks. Whether you use QuickBooks Payroll services or not all you need to do is setup one employee for each of the people you wish to track time for in The Service Program. 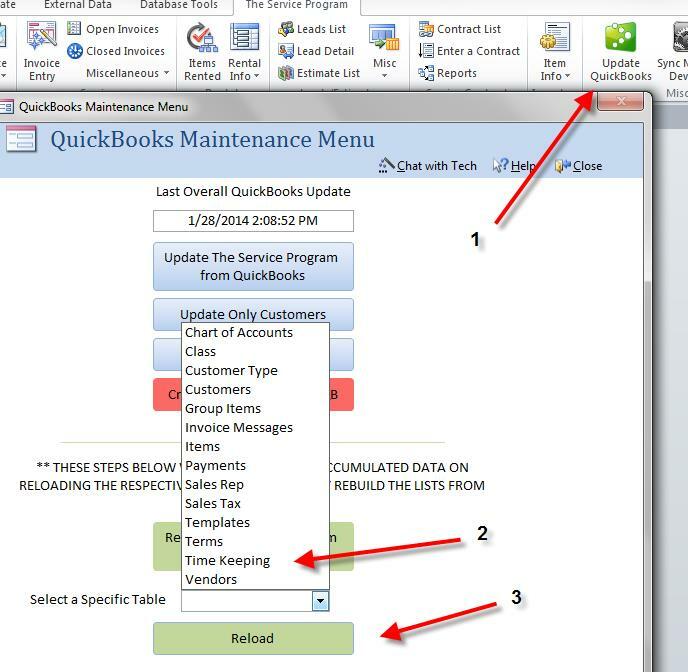 Please Note - The directions for setting up QuickBooks Time Keeping is only a basic draft and there may be steps missing (depending on your version of QBs). We highly recommend researching your version of QuickBooks and following Intuits suggested steps! How to setup Quickbooks for Time Keeping. 1. Sign in as the Admin and be sure to be in Single-user Mode. A. Go to the Edit menu and click Preferences. B. In the Preferences window, click Time & Expenses in the list on the left. C. Click the Company Preferences tab. 3. For the Do You Track Time? option, click Yes. 4. In the First Day of Work Week drop-down list, choose the day on which you start tracking time each week. Note: The day you choose affects all weekly timesheets. For example, if you choose Sunday, your timesheets begin with Sunday. How To Set up employees for time tracking. 1. Go to the Employee Center, then double-click the employee's name. 2. Click Change tabs and select Payroll and Compensation Info. A. QuickBooks 2013: click Payroll Info tab. 3. Select Use Time Data when Creating Paychecks, then click OK.
1. From the top menu bar, choose Edit and select Preferences. 2. From the choices on the left menu, select Time Tracking or Time & Expenses. 3. Select the Company Preferences tab. 4. Next to First Day of Work Week, click on the drop-down menu, and choose the day your work week begins, and click OK.
2. Select General from the icons on the left of the screen. 4. Select Decimal or Minutes, and then click OK.
5. If you want to enter minutes, use a colon between hours and minutes on the "Enter Payroll Information screen". The system then uses exactly what is entered for calculations. For example, you would enter 30 hours and 27 minutes as 30:27. Important! You must use a colon and NOT a period between numbers. If you use a period in this example, QuickBooks will convert it to read 30:16 and give the wrong calculations. Next step is to associate an employee to a Service Program username. 2. Select an employee from the dropdown menu to associate it with a username. A. NOTE you can also set a default class as well as a default service item to this user. B. 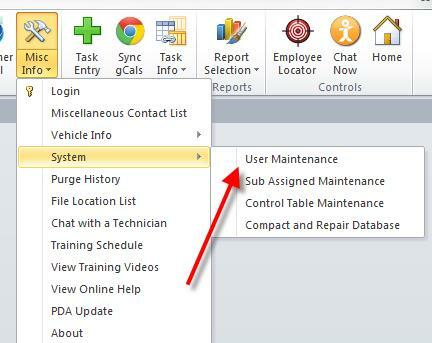 To select a default service item you must double click on the username then select a Service item. This item will default on adding an item that is billable when posting to quickbooks. 3. Please continue on with Video above.